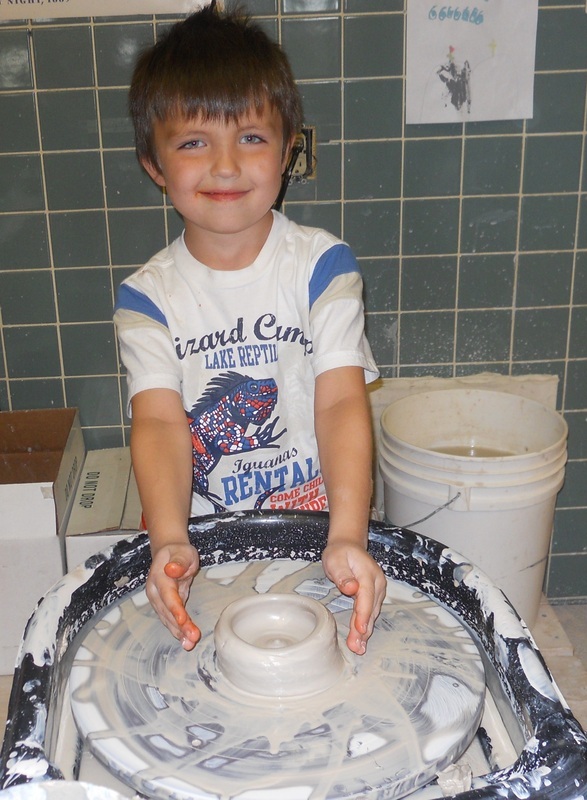 Pottery Wheel Projects are so much FUN! You can make anything from a simple bowl to a great big vase, and the price is the same whether you need help or want to work alone. 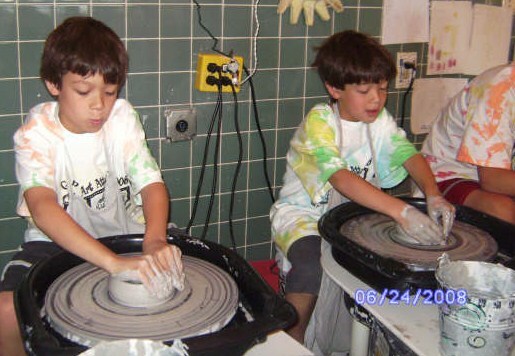 The cost is $21 for 1 pound, each additional pound for the same person is $15 - this includes the 1st firing, use of the studio, all paints and design tools, clear glaze & 2nd firing. 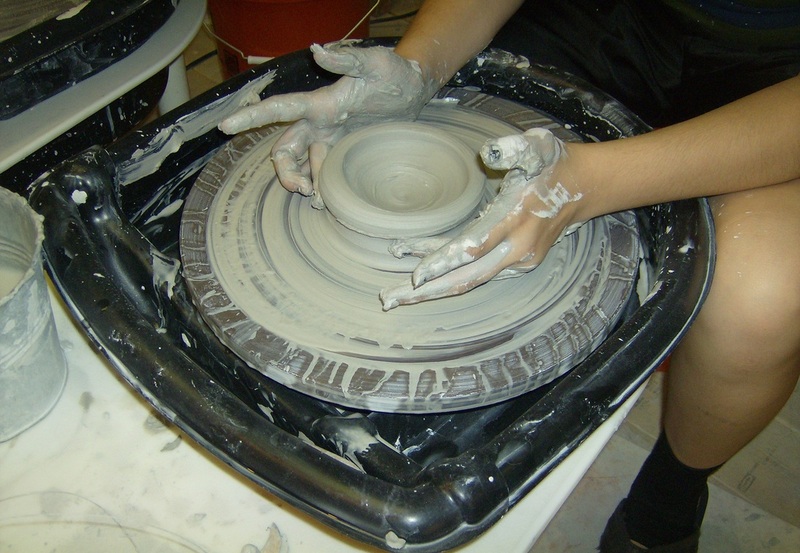 Anything made on the wheel must dry thoroughly before 1st firing and will be available to decorate in 2 weeks. Then it will be ready to pick up in 1 week same as the pottery painting. This bowl was made by a young couple for the "ring bearer" to carry at their wedding, instead of a pillow...cool, right?